Travelling Marshall Islands is (relatively) safe. 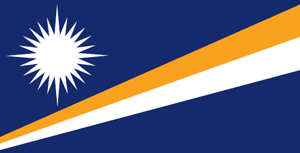 Marshall Islands is a country in Oceania (Micronesia) with less than one million citizens and a land mass of 181.3 km². We detected travel advisories from 2 sources for this country. Exercise normal precautions in the Marshall Islands. Read the Safety and Security section on the country information page. The Ministry for Foreign Affairs and Trade Promotion advises Maltese travellers to exercise caution when visiting the Marshall Islands. The Cyclone season is normally between November and April but cyclones can occur throughout the year. Severe weather may result in flooding, landslides, and disruption to essential services and infrastructure. Maltese travellers in the area should monitor local updates and follow the advice of local authorities, including any evacuation orders.